Do We Ever Understand History? Visiting the exhibit of colored Greek statues at the Legion of Honor museum here in San Francisco this week brought me a new perspective on classical statues. Art scholars have known for years that the ancient Greeks painted their statues and that the pure white statues found in so many European and American museums today are not at all like the ones the ancient Greeks knew. Like every other human activity, sculpture changed over the years. The introduction of Christianity changed the direction of art in Europe and throughout the Western world. The image of snow white marble sculptures influenced the way people thought about ancient Greece. Is it possible to see the statue of Socrates as it is shown in this picture and not associate it with austere, intellectual philosophy? Would we think of Socrates in the same way if he were portrayed in an orange or red toga with a busy, bright pattern? Do we ever truly know what an historical period was like? Can we ever really imagine how people thought and felt in times gone by? It wasn’t until the 19th century that the sculptures of ancient Greece were sought out by people from Western Europe. Many of them had been neglected for years. The Parthenon in Athens Elgin Marbles had been used to store arms and the pediment sculptures that make up the Elgin marbles were neglected by the Turks who ruled Greece for many years. 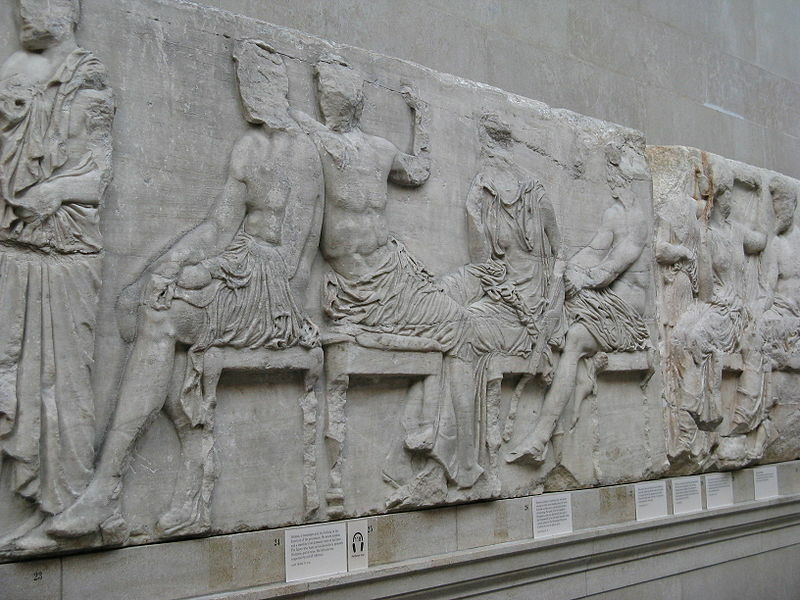 Eventually, many of the sculptures that decorated the Parthenon were brought to Western Europe—most famously to England, but also to Denmark, Germany and France. the story of the removal of the Elgin Marbles to England were still done in a period of history that seems foreign to us. Susan Nagel in her fascinating book Mistress of the Elgin Marbles: A Biography of Mary Nisbet, Countess of Elgin (2010) tells how Lord Elgin and his wife managed to persuade the Turks and some Greeks to help them move the sculptures to London. But their story also raises questions about how well we understand historical characters. pregnancies. Without access to contraceptives, Mary Nisbet was entirely at the mercy of her husband. She was the wealthiest woman in Scotland, but that was no protection. Lord Elgin wanted a large family and Mary had no power. Eventually he managed to get a divorce—which took an act of Parliament—and take their three children away from his wife. He married a second wife and had seven more children. Whether it is ancient Greek color schemes or 19th century marriages, the past is a constant surprise. We are always discovering new truths about it. Historians are kept busy discovering new records and old remains that offer different glimpses of our ancestors. Someday, no doubt, historians will be search back through our Facebook posts and Twitter feeds to discover what in the world 21st century people were thinking and feeling. Will they ever really know us? of Modern Art scheduled for May 14, 2016. 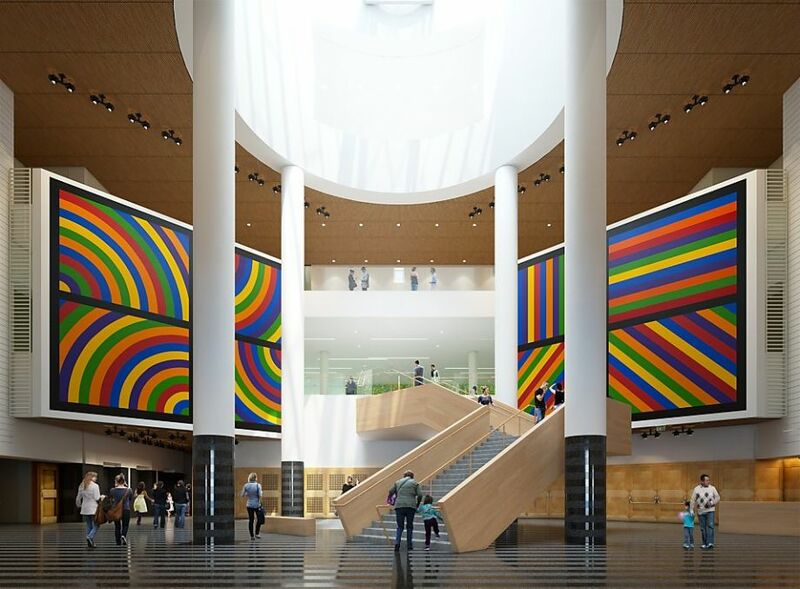 According to an article in the San Francisco Chronicle, the new museum, which has been under renovation for three years, will be the country’s largest museum of modern art. While art lovers are waiting expectantly to see the new building and new collections, they may ponder whether any of the art displayed will cause a controversy like those that have caused problems for so many museum. For the most part, modern art pieces have not been around long enough to inspire questions about who made them. And in future there may be even fewer fears about forgeries and mis-attributions if a new scientific technique for giving art pieces permanent DNA markers comes into common use. Martin Tenniswood, a lead scientist on the project, spoke on NPR (National Public Radio) about the technique which will be able to put a tag on individual art works that clearly identify it. Just as the DNA of a person cannot be faked, so too this marker should end the fears of collectors and museums that they might purchase a forgery. war-torn countries is justified. 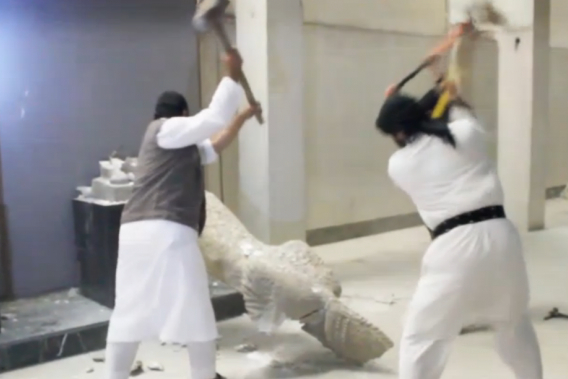 One of the first acts that started these arguments was the removal of the Elgin marbles from Greece to England. Next year will mark the 200th anniversary of the sale of the Elgin marbles to the British government. They are one of the major attractions of the British Museum and are seen every year by more than five million people. If you want to read a fascinating account of the background of how the Elgin marbles were purchased by Lord Elgin, using the money of his extremely wealthy Scottish wife, and shipped to England at least in part because Lady Elgin was able to use her charms to persuade the Sultan of Turkey as well as the British Navy to help her, I strongly recommend the book Mistress of the Elgin Marbles by Susan Nagel. A series of events, helped along by a clash of personalities, led Lord Elgin to appreciate the value of the marbles, but eventually also to the breakup of his marriage. Would Britain ever have owned the marbles if Lady Elgin hadn’t rebelled after bearing five children and declaring that she refused to suffer through another childbirth? Would Lord Elgin have agreed with his wife’s wishes if he hadn’t been driven by the desire to have enough sons to ensure his name was carried on? Today as we look at the marbles, unchanging and austere in their dedicated gallery, we can think about the human passions that led to their being available for our viewing. But the arguments about whether or not they should be returned to Greece continue to rumble on. far from the place of its origin, or to let it remain unmoved no matter how challenging the circumstances of its homeland? Does art belong to all people in the world who take care to preserve and maintain it, or should it remain with the group who created it no matter whether it is destroyed or not? That is a very difficult question to answer. Who has the right to judge?